Cast: Tadeusz Lomnicki, Urszula Modrzynska, Tadeusz Janczar, Zbigniew Cybulski, Roman Polanski. Cast: Wienczyslaw Glinski, Teresa Izewska, Tadeusz Janczar, Emil Karewicz. Andrzej Wajda’s war trilogy marks the beginning of one of the most remarkable careers in the history of Eastern European cinema. Wajda’s directorial path spans over from the first years of the post-revolutionary Poland to the early period of resistance to Stalinist rule to the 1980s emergence of Solidarity and beyond the fall of the Iron Curtain. 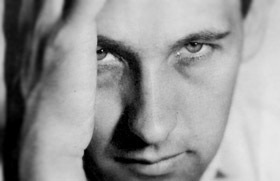 Wajda joined the Polish resistance movement as a teenager, enrolled in the Krakow Fine Arts Academy immediately after the war, and subsequently attended the State Film School in Lodz. After graduating, he worked as an assistant to one of the most prominent Polish filmmakers, Aleksander Ford, before directing the first film in his war trilogy, A Generation (Pokolenie), in 1954. Set in the 1942, Warsaw, A Generation is a bleak film of remarkable cruelty, examining the effect of occupation on a generation of Polish urban youth. Drawing on his wartime memories of life in the working class suburbs of Wola and Kolo, Wajda situates his characters in poor suburban streets, ruined playgrounds, squalid council houses and crammed workshops, giving his film a sense of grim authenticity. A Generation centres on a group of teenagers growing up in the war-torn Polish capital, and follows their gradual inclusion in the underground movement. The central character, Stach (Tadeusz Lomnicki), joins the resistance, attracted by the young communist agitator, Dorota (Urszula Modrzynska). Dorota changes his name into a ‘peasant’ nom de guerre, Bartek, more ‘appropriate’ for the class struggle. Along with his friends, Jasio (Tadeusz Janczar), Jacek (Ryszard Kotas) and Mundek (Roman Polanski), Bartek takes part in a series of actions against the Nazis. After Dorota’s arrest, he becomes the leader of a small resistance cell in the occupied city. The film introduces a young generation of Polish actors, led by Wajda’s favourite, Tadeusz Janczar, whose performing talent and style broke away from the tradition of pre-war Polish cinema. Their performances successfully bind the carefree attitude of suburban teenagers with the universal drama of war and suffering. Poignant and revealing, Janczar’s performance became one of the highlights of the film, his dialogue resonating the tragedy of the urban youth, devastated by occupation. Janczar’s and Izewska’s performances were internationally lauded after Kanal won the Jury Prize, or as it was then called, the Silver Palm at the Cannes Film Festival. Their unsettling, memorable portrayals of young resistance fighters are rooted in human psychology, subverting the formulaic representations of fallen heroes in the post-revolutionary period. The dark, apocalyptic dimension of Jerzy Lipman’s photography and Jan Krenz’s musical score also enhanced the poetic sense of hopelessness, the unsettling, nightmarish vision of war which dominates Wajda’s cinematic narrative. The Polish critics and audience remained highly sceptical about a film that offered a bleak story set in the Warsaw sewers instead of a heroic tale about the Ghetto uprising. These reservations toward Wajda’s work were furthered by Ashes and Diamonds (1958), the third film in his war trilogy. This film centred on the assassination of a Communist District Secretary and finally brought the director at odds with the Polish Government. T.H., Daily Cinema, London (24 June 1960). Marek Hlasko, Die Weltwoche, Zurich (13 May 1968). Marcel Martin, Cinema 58, Paris (March 1958). Boris Trbic teaches Scriptwriting at Swinburne University of Technology (TAFE) and Screen Language at RMIT University (TAFE) in Melbourne. He is a reviewer on 3RRR’s Film Buffs’ Forecast, and writes screenplays, short fiction and occasional pieces about oriental carpets.